Ok, so you defeated one set of aliens that were invading and became Champion, but now there's another set of aliens invading! What's up with that?! Anyway, you'd better defeat these aliens, too. It seems only right. 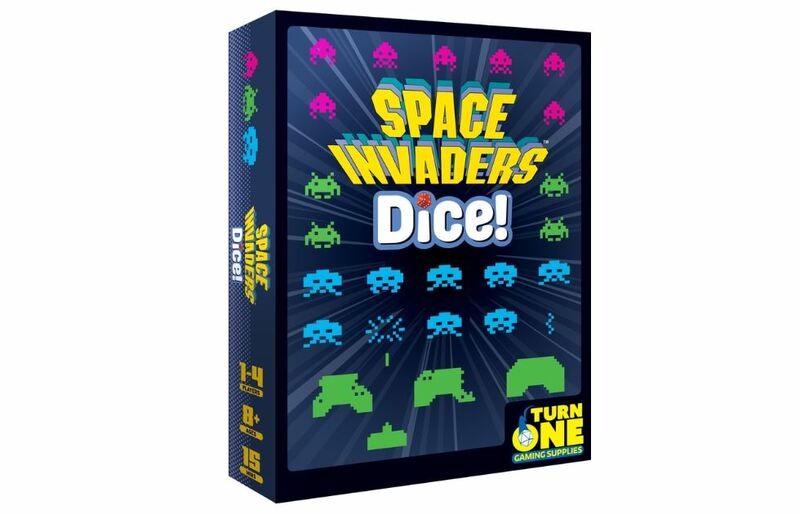 Turn One Gaming Supplies is happy to announce that they're now taking pre-orders for their new dice game based on the classic video game, Space Invaders. It's Space Invaders Dice!